The Nanny Salary and Benefit Survey, conducted by the International Nanny Association, reported that the average hourly wage among nannies was $17.44. During a 40 hour work week, a nanny would earn $697.60 (before taxes of course) at that rate, but the demographics among the people who were involved in the sample are more significant than that average. The INA was able to collect 640 completed and 177 partial responses. Of those polled, 70% were full-time employees and 90% lived outside of the employer’s home. In most cases, part-time employees will receive less pay than full-timers, and live-in nannies are compensated less, because they receive room and board as a benefit. In addition, the majority of the people surveyed were college educated, certified in safety practices and experienced. 71% of caregivers had more than five years of experience in their field. 85% of nannies had, at least some, education at the college level, and 46% of the individuals who had degrees were educated in a child-related discipline. 87% of nannies were certified in CPR (cardiopulmonary resuscitation), and 80% had certification in first aid. What this means is that the average ($17.44 per hour) is brought up by the large percentages of those individuals who displayed educational credentials, safety certifications and the five or more years of experience that would by synonymous with higher wages. A less schooled, certified or tenured candidate could expect less than the average. On the other hand, a nanny with advanced degrees and many years of experience could make considerably more money. Nearly half (48%) of the nannies surveyed were members of the INA, which implies that membership in such an organization is beneficial to those involved by both finding them work and ensuring reasonable wages. It might be advantageous to any nanny to be part of associations that support steady employment and healthy compensation for qualified caregivers. 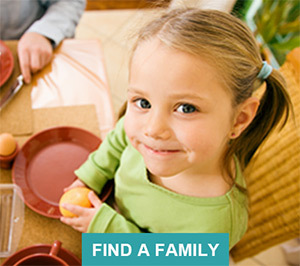 Specialty nannies usually have different average rates. Temporary nannies are normally paid less than those who maintain permanent employment, but others such as travelling nannies, special needs nannies and governesses (teachers) often receive better compensation. The average hourly rate for a newborn care specialist was $22.63 per hour. Beyond their hourly wage, highly qualified nannies are compensated in the form of benefits, which can make their living situations more comfortable than the hourly wage might dictate. Among nannies who must travel as part of their duties, 74% are covered for all expenses during travel time. Of all nannies surveyed 66% receive holiday pay, 64% are allowed paid vacations (and 89% of those individuals get two or more weeks) and 47% receive pay for their sick days. Only 13% have their entire health insurance premium paid for by their employer, but let’s face it, with the current state of the health insurance industry in the United States, I wouldn’t be surprised if you told me it was difficult for insurance agents to get good health insurance. It is also important to realize that many of the nannies who participated in the survey do not provide certain services that some nannies will perform, which likely lowered the average a bit. One example of such a service, overnight care, was only provided by 22% of nannies who responded to the survey. Housekeeping and weekend work are other good examples of special duties that, if performed as part of a regular regiment, could raise a nanny’s hourly wage. One other key factor in how much a nanny makes is location. It makes sense that nannies who practice in metropolitan areas or suburban areas, where the standard of living is higher than in other areas of the country, garner higher salaries than those who practice in lower-income areas. This particular statistic, though, is relative in the sense that when compensation is commensurate with the standard of living in a given area, nannies will still be paid across a spectrum of wages depending on their education, experience and reputation. The 2013 survey showed that 66% of nannies made more money than they did in 2008, so wages are steadily rising for those in the profession. In fact, they make approximately $100 a week more than they did ten years ago but in a continually more competitive industry. The data that was retrieved from this survey can be an excellent guide for first time employers who are interviewing nannies or wondering what level of compensation a caregiver deserves; and, furthermore it can be a manual for young nannies who need to know what they deserve or ambitious nannies looking to step up their game. Compensation for nanny services has changed throughout history as the profession itself has evolved. During the Colonial Era, nannies were female slaves and indentured servants who cared for the children of aristocratic families in large households. In the 19th and early 20th centuries, nannies were called “nurses,” and they often spent their entire lives in the homes of their employers, helping to raise more than one generation of children. They were often more appreciated and treated more kindly than other servants, but their pay, if any, was small. Even after Abraham Lincoln delivered his Emancipation Proclamation, symbolically ending slavery, many domestic workers were poorly compensated and subject to mistreatment. In fact, until the 1980’s, when support organizations like the International Nanny Association began to form, nannies were unjustly perceived as unskilled workers and could only hope to earn a meager salary unless they were the preferred and long-time employees of generous upper-crust families. A lot, however, has changed since then. Today, nannies are increasingly skilled, educated and experienced, and one who possesses those qualities combined with a disposition that builds strong relationships with (his or her) charges and employers can have a successful career. The current industry is seeing professionals who are generally better compensated than they have been in the past, but it is also creating a highly competitive environment where a nanny’s income level is dependent up that individual’s resume. 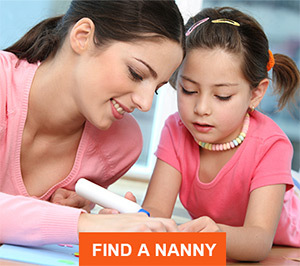 While you don’t need to have a degree in child development and years of work experience to get a nanny job, these aspects are becoming increasingly important; and those candidates who boast these qualifications, as well as other certifications and credentials, are more sought after and more handsomely rewarded.